For all ten years of his life, all Hal has wanted is a dog. He has begged his wealthy, neglectful parents, but they will buy him anything except the gift of his dreams. When they finally let him get Fleck, they don't mention that he will have to be returned to the dog rental company in three days. This event devastates both, but motivates Hal to rescue Fleck and a crew of other lovable dogs. Along with a spunky girl named Pippa who lies surprisingly easily, the group travels through England and manages to find the perfect home for each character. I didn't want to read One Dog and His Boy, as I am not an animal person. I'm allergic to dogs, so have never understood the devotion that they inspire in their owners. My parents recently adopted a rescue dog and are obsessed, listening to Cesar Milan audiobooks and spending every spare moment at the dog park. They will relate completely to Hal, and his feeling that "He'd wanted it and wanted it and when it happened it was even better than he'd thought it would be. He'd imagined some of it--the companionship and warmth--but he didn't realize a dog would make you laugh so much, nor that he would help you make so many friends." 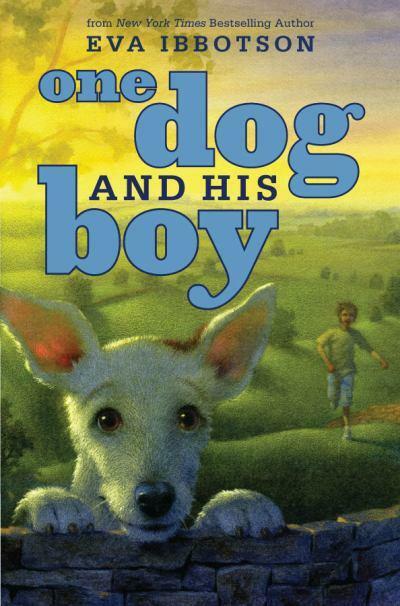 In spite of my reluctance to read a "dog book", I was charmed by One Dog and His Boy, Eva Ibbotson's final novel. It brought me back to the books that I read as a child, full of quirky adventures and happy endings. Ibbotson's characterization of adults is particularly entertaining. There is no gray area for adults in this book: they are either caricatures of vices or idealized, complete with seaside cottages. I was frequently reminded of the adults in Roald Dahl's books, especially in the character of Albina Fenton, Hal's mother. She spends her days shopping with her friends, an interchangeable trio who all have names that start with the letter G. Any semblance to Roald Dahl instantly improves a book, in my opinion. 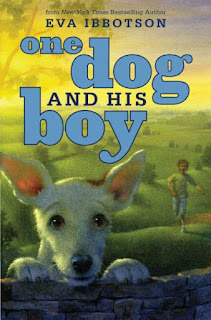 Middle grade readers are always desperate for animal books and will love One Dog and His Boy. The dogs' personalities and the sweet friendship between Hal and Pippa will linger with readers long after they put the book aside. This book was provided for review by Young Adult Books Central. Read this and more reviews by clicking here.